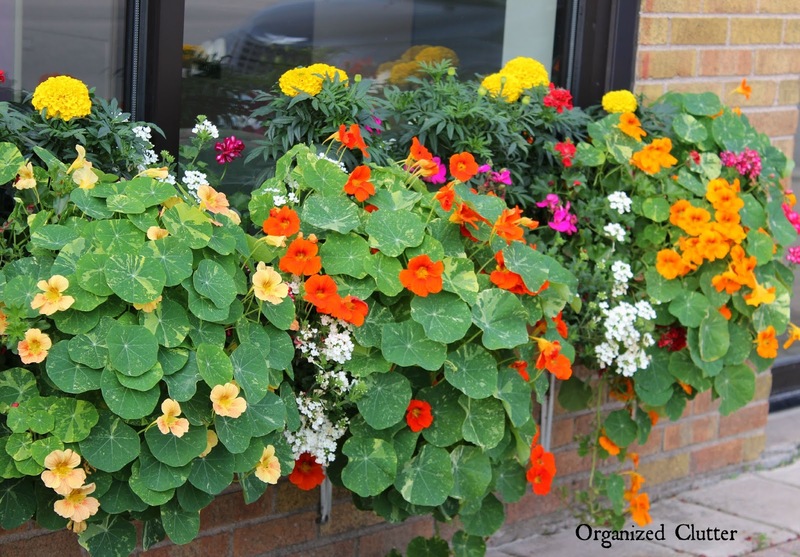 Every year my sister in law, Kris, puts together a gorgeous window box in front of her office building. This year's window box features a wonderful old time annual, the Nasturium. Competing for attention in this year's window box are tall marigolds, ivy geranium, and verbena. This year's window box is lush, colorful and beautiful! Did she grow the nasturtiums from seed? She really does a beautiful job, and the nasturtiums are wonderful! Gorgeous! I am amazed at how lush and huge these plants are. Wonderful! I love nasturtiums but they don't love our Alabama heat. They will grow for a short while in the spring. Her beautiful window boxes would certainly draw me into her business. That window box is so beautiful. I love, love, love the Nasturium. I think it is the best one so far. Keep up the great work! Lovely! She certainly has a green thumb. Reminds me of my old town when we lived in PA. 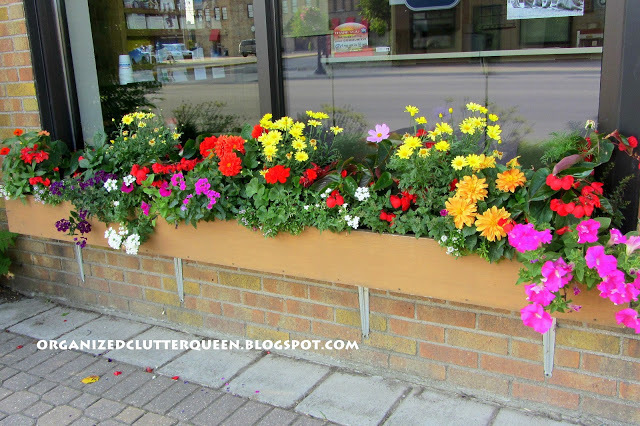 The main street has planters at every business. The smell in the summer was heavenly; just had to watch out for bees they loved it too! Ahhhh... these picture show such lush greenery. Too bad I have a brown thumb. I would love to be able to do something similar. P.S. Pop over to my blog to see its new design!! !